Lzzy Hale and her rock ‘n’ roll cohorts in Halestorm are the latest band announced to play the Metal Hammer Golden Gods, in association with Fireball, at the Eventim Apollo in Hammersmith this June. The Grammy award-winning Halestorm are joining the previously announced Salute To Lemmy, featuring Saxon and the surviving members of Motörhead. Tickets for the Metal Hammer Golden Gods award show (in association with Fireball) are on sale now, priced at just £6.66, while fans can place their votes for this year’s awards to be in with a chance to win tickets. 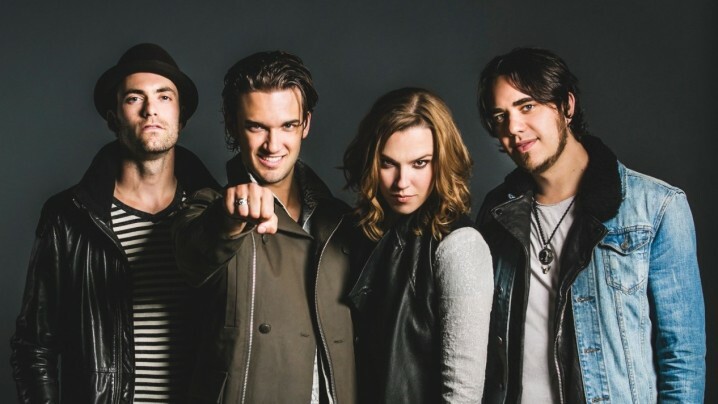 Halestorm are playing the Sunday of Download festival this year.Tickets are on sale now. Vote for this year’s Golden Gods winners atwww.metalhammer.com/awards to be in with a chance of winning a pair of tickets to show on June 13 – voting is open NOW. Tickets are available to buy now for £6.66 at the Eventim website. TeamRock and Eventim will donate all profits from ticket sales to the charity Heavy Metal Truants, an annual charity cycle ride sponsored by TeamRock from London to Download Festival to benefit Nordoff Robbins, Teenage Cancer Trust and Childline. Each Golden God Awards ticket includes a free 3-monthTeamRock+membership worth £11.97, giving unlimited access to full magazine content online from Metal Hammer, Classic Rock, Prog and The Blues Magazine as well as exclusive content, events and offers.